Training for any sport or peak fitness requires a varied input of techniques, strength, power, speed and endurance. A well balanced diet will help the sports person train hard, reduce risk of illness and injury, and achieve performance goals, regardless of the diversity of events, environments, nationality and level of competitors. What one needs to learn is practical ways to meet nutrition goals despite a busy lifestyle, gastrointestinal issues and the challenges of work. An idle diet would translate into one that is composed of approximately 65% complex carbohydrates, 10 to 15% fat (preferably of vegetable origin), and 10% protein. What is important is the quick breakdown of complex foods into simple digestible sugar, for which oxygen is essential. According to the University of Wyoming, oxygen plays a major part in the breakdown of sugar to adenosine triphosphate, the very basic form of energy within the cells. Potassium: The cells require potassium to perform functions for life to go on. Cells use potassium to process oxygen for absorption. In an absence of potassium, the cells do not allow the absorption of oxygen as well which could progress to serious problems for the body. Eating a diet which incorporates the recommended amount of potassium supplementation is best to keeping the body healthy. Improper amounts of potassium in absence or excess can lead to serious problems and even death. The current percent daily value for potassium is a whopping 3.5 grams. Some potassium sources are: Avocados- 100 grams will provide 485mg of potassium or 14% of the DV. That is 1.1g (32% DV) in one cup pureed, and 975mg (28% DV) in a single avocado (201 grams). Paprika provides the most potassium with 2.3g (67% DV) per 100 gram serving, or 164mg (5% DV) per tablespoon. Pure cocoa powder without any fat, milk, or sugar, provides the most potassium with 1.5 grams (44% DV) in a 100g serving. Apricots provide 1.9g (53%DV) of potassium per 100g serving (about 20 dried apricots). Pistachios a 100 grams (~3/4cup) will provide 1g (30% DV) of potassium. Pumpkin and squash seeds contain about 919mg (26% DV) of potassium per 100g serving, 588mg (17% DV) per cup. White beans provide the most potassium with 561mg (16% DV) per 100 gram serving, Medjool dates provide 696mg (20% DV) per 100 gram serving, or 167mg (5% DV) in a single date. Magnesium: plays an important role in energy production (involved in over 300 enzyme reactions, many related to ATP). It is involved in the synthesis of nucleic acids and proteins (cell reproduction). Magnesium is intimately involved in regulating levels of calcium, and is closely associated with potassium (especially intracellular potassium) and phosphorus (through it’s effect on energy production and ATP – Adenosine Tri Phosphate, which is the main cellular energysource in the body). Large amounts of magnesium can be lost as a result of prolonged exercise, lactation, excessive sweating and chronic diarrhea; as a result of the use of drugs like diuretics, digitalis and the cancer drugs cisplatin and cyclosporine; and because of disorders like kidney disease, an overactive thyroid or parathyroid, low blood levels of potassium and high urine levels of calcium. Among foods relatively rich in magnesium are whole-grain breads and cereals like 100 percent bran, oats, Cheerios and Wheaties; legumes like tofu, soybeans and lima beans; vegetables like spinach, corn and broccoli; fruits like dates, raisins and bananas; and nuts like almonds, cashews, peanuts, walnuts and pecans. Drinking water, too, can be a significant source of dietary magnesium, assuming that the water supply is “hard,” that is, rich in minerals. The recommended daily requirements of magnesium for: 14 – 18 years old (girls) is 360 milligrams and for Adult females it is 310 – 320 milligrams. Alpha Ketogluturate: a chemical found in the body, works in many pathways in the body, to help make muscle, and to help heal wounds. Acting as a co-substrate, it plays important function in oxidation reactions involving molecular oxygen. Molecular oxygen (O2) directly oxidizes many compounds to produce useful products in an organism, such as antibiotics, etc., in reactions catalyzed by oxygenases. In many oxygenases, α-ketoglutarate helps the reaction by being oxidized together with the main substrate. In fact, one of the α-ketoglutarate-dependent oxygenases is an O2 sensor, informing the organism the oxygen level in its environment. In combination with molecular oxygen, alpha-ketoglutarate is one of the requirements for the hydroxylation of proline to hydroxyproline in the production of Type 1 Collagen. α-Ketoglutaric acid is sold as a dietary supplement and to body builders as AKG or a-KG with the claim that it improves peak athletic performance. Inosine: a nucleoside, it plays a role in the production of something known as “2,3 DPG,” which is essential for oxygen transportation to muscle cells. Oxygen is, of course, necessary for energy during workouts, allowing muscles to work harder, improving strength, and promoting growth. Inosine also supports the regeneration of ATP, which is the primary fuel our muscles use for energy. Without sufficient ATP regeneration, we become fatigued easily, and our muscles work far below optimum levels. Sources of inosine include brewer’s yeast and organ meats, such as heart and liver. It’s also formed naturally in all human tissues, primarily in cardiac and skeletal muscle. Malic Acid: A natural substance found in fruit and vegetables – one of the richest sources being apples. One of its most significant benefits lies in its ability to stimulate metabolism and increase energy production. Malic acid plays a vital role in improving overall muscle performance, reversing muscle fatigue following exercise, reducing tiredness and poor energy levels, as well as improving mental clarity. 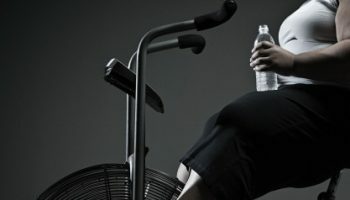 This action is linked to the important role it plays in a process known as the Krebs cycle – a complex series of biochemical reactions to transform proteins, fat and carbohydrates into water and energy. This process requires a constant supply of vitamins, enzymes and chemical agents such as malic acid, in order to keep it functioning properly 24 hours a day. The Krebs cycle is vital to our very existence and without it energy production would literally grind to a halt. Therefore it is essential that you have adequate supplies of malic acid in order to promote the efficient functioning of this cycle. The recommended dosage for malic acid is 600mg capsules taken one to three times a day before food. Taking magnesium alongside malic acid seems to have a much more pronounced effect on muscle fatigue. “. It can also be found in pineapples, apricot, gooseberries, raspberries, cherries, lemons and mostly, in unripe fruits. Ferulic Acid: an antioxidant, ferulic acid pairs with molecules called free radicals. Left untouched, free radicals in the body look for molecules to bond with, often bonding with molecules in cell walls and damaging the cell in the process. This substance is particularly common in the seeds and leaves of cereal plants, including wheat, rice, maize, and oats. Other sources include fruits such as pineapples, apples, and oranges. Trimethylglycine: an organic substance that is naturally found in the body. It helps break down homocysteine, an amino acid in the blood; is involved in balancing the tonicity of some cells; and can help stabilize the structure of protein in some circumstances. In addition to being produced by the body, trimethylglycine may be found in various foods such as nuts, seeds, and red meat. The recommended dosage for trimethlyglycine is between 500 milligrams (about 0.5 grams) and 3,000 milligrams (about 3 grams) daily. Coenzyme Q10: Naturally present in every cell, it converts energy from food into form that the body can store and use for both physical and mental activity. It’s not present itself in food-the liver has to manufacture it from related coenzyme in proteins and green vegetables. It is believed to strengthen heart muscle and American and Japanese studies indicate it lowers blood pressure and can reduce the need for painkillers for those with angina. As an energizer, Texan and Belgian studies suggest CoQ10 can boost metabolism and help weight loss. It may also boost the immune system. It also declines with age. Swedish research compares CoQ10’s antioxidant powers to ‘anti-ageing‘ vitamin E, which protects cells against sclerosis that causes membrane damage and degenerative disease. Cold water fish such as sardines, salmon and mackerel contain a high quantity of coenzyme Q10 and are considered the primary sources. These foods also have high levels of omega-3 fatty acids, which may help reduce the risk of heart disease. Other sources of food contain lesser amounts of coenzyme Q10 and, therefore, are considered secondary sources. …..Foods containing Potassium, Magnesium, Iron, Nitric oxide, Alpha Ketogluturate, Inosine, Malic Acid, Ferulic Acid, Trimethylglycine, and Coenzyme Q10 taken sublingually 30 minutes before an event/competition will enhance performance.